This week our shop is brought to you by Emily at Simply Scraps. 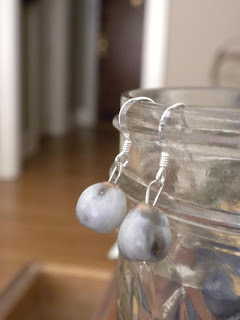 Simply Scraps features handmade items that are made from used, salvaged and recycled materials. Emily believes in never letting anything go to waste and saving every scrap to use somewhere else, which is why she named her shop Simply Scraps. 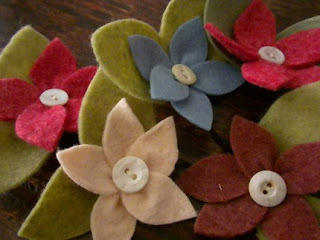 Recycled Felt Flower Bobbies would make a perfect addition to any hairstyle. 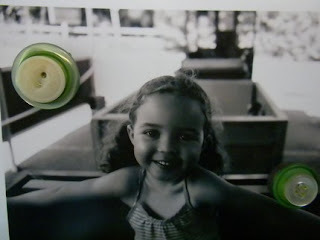 Button Magnets would display your photos with such cute, vintage style. 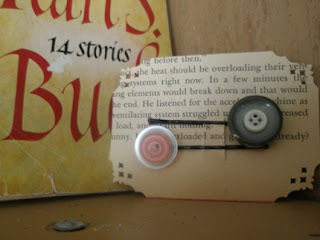 Travelin' Button Bobbies are made with vintage buttons and come displayed on a card from old book pages. I don't know about you, but I think these would make a perfect stocking stuffer for Christmas. It is never too early to start shopping! Earrings That Bloom are made from seeds that Emily harvested. If you check them out on her site there are pictures showing the process of making them. Very interesting! http://seattlesimplyscraps.blogspot.com/. Also, if you live in the Seattle area some of her items are sold at The Green Chair Project in the U District, Twilight in West Seattle, and at The Frock Shop on Phinney. If you don't live in Seattle don't fret. You can still purchase Simply Scraps items on Etsy and if you are the lucky winner this week you can win some on my blog! This week for our weekly prize we are doing something a little different. Instead of offering one gift, Emily is going to put together a free gift package filled with goodies from her shop. At a value of $30 this will be an awesome gift for one of the Joy De Vivre readers! Enter by leaving Emily at Simply Scraps a comment here about her shop. You will receive a second entry by being or becoming a follower on this blog. Those hair flowers are too cute - I'd love to accent a bun with them! Oooh, I love your blog and these cute gift ideas too - especially the magnets (I have a thing for tiny anything)! I love the look of stamped leather but it's vinyl. Yay! ps. sorry to hear about little Nugget. Hope you and your family are doing well.